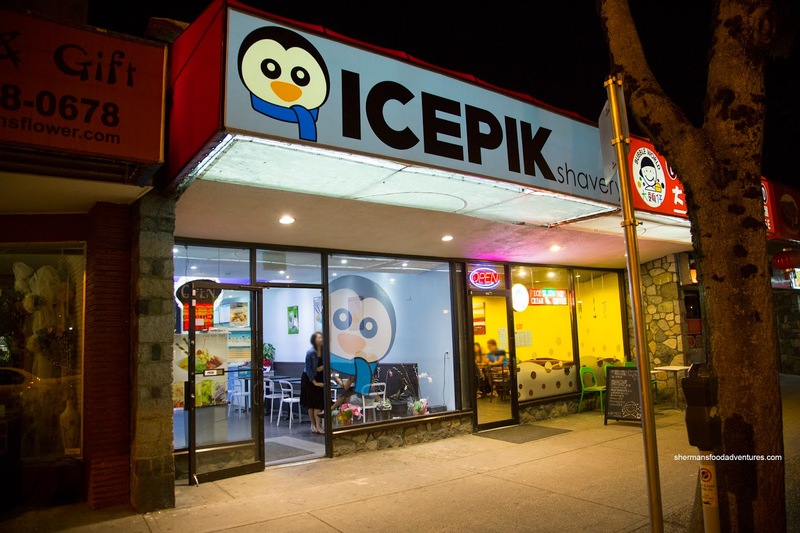 Due to the recent heat wave in Vancity, people have been figuring out ways to stay cool. With A/C units practically rolling out the door as they were rolled in, Costco and Canadian Tire have been doing pretty good business. I guess hanging out at the mall or playing ice hockey are several ways to beat the heat, but snacking on cold desserts is another option. 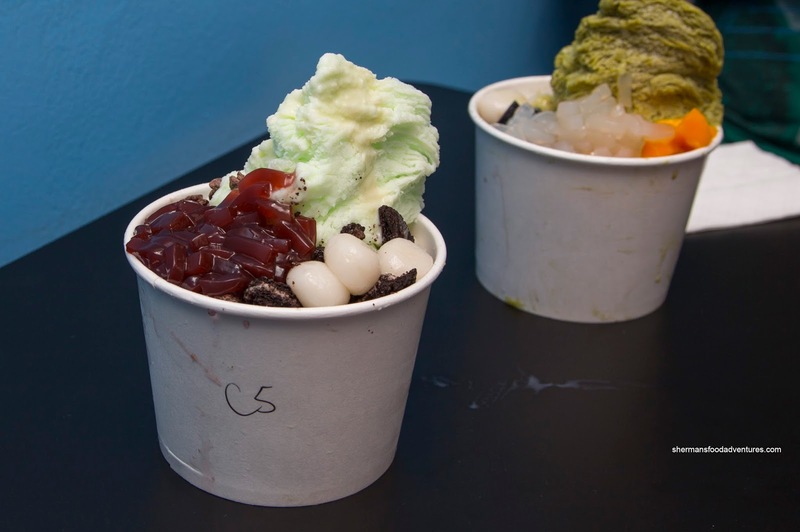 Sure, we got gelato, ice cream, screamers, bubble tea, slushees and the other usual cold treats, but one that is beginning to gain traction is shaved ice. Now this is not anything new in California as I saw many last Summer, but for Vancouver, we can be a bit slow catching on. 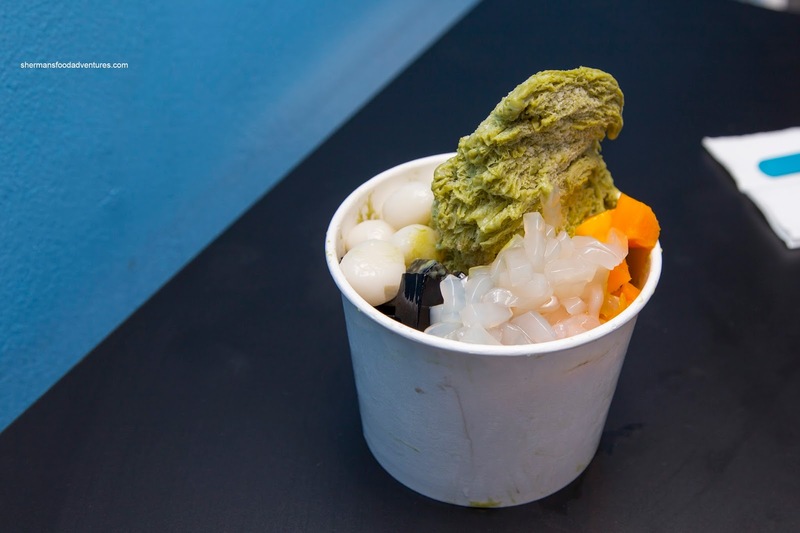 After dining on mediocre Tawainese fare at Kick S Good, we traveled down Kingsway to Icepik Shavery for some jacked up shaved ice. 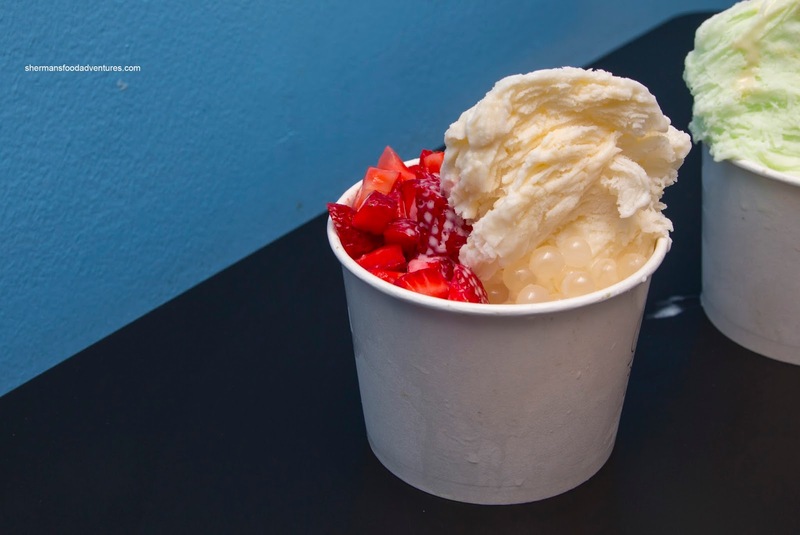 Bear went for something simple in the Vanilla shaved ice with strawberry and lychee popping pearls. Since the ice was shaved so fine, it took on an almost creamy texture while remaining fluffy. It was lightly sweet which allowed the strawberries and pearls to do their thing. For myself, I had the Green Tea shaved ice with mochi, grass jelly, mango and lychee jelly. Again, it wasn't very sweet with only a light green tea essence. I liked how the mochi balls were a fair size and appealingly chewy. The diced mango was nicely ripe and sweet which helped flavour the dessert as well as the lychee jelly. Milhouse went for something different in the Mint shaved ice with mochi, oreo crumble, chocolate chips and grape jelly. I was surprised at the refreshing quality of the mint ice. Initially, I ordered the green tea instead of the mint because I thought it would be overpowering. It wasn't and in fact, very light in flavour. Therefore, it went well with the sweeter ingredients. 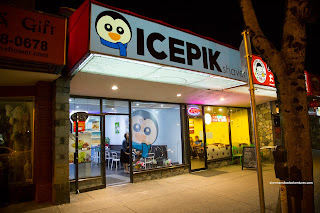 Overall, we enjoyed the shaved ice at IcePik. They were lightly sweet, airy and refreshing.